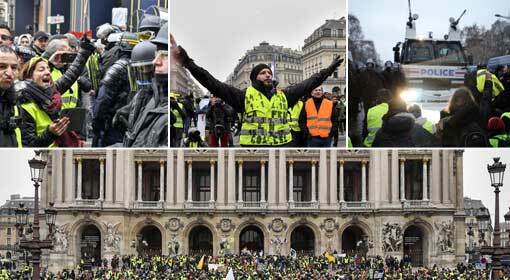 Paris: The Yellow Vest movement that started in the month of November over hiked fuel prices appears to be intensifying. 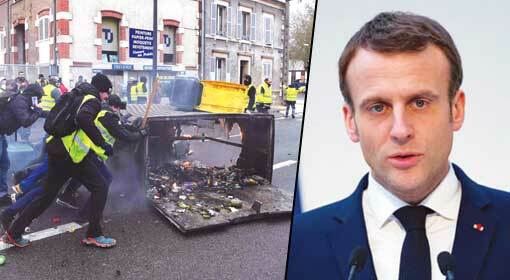 On Saturday, presenting the issue of the violence of the Macron government towards the protesters during the protests held in Paris as also in other parts of the country, once against the protestors demanded the resignation of French President Macron. 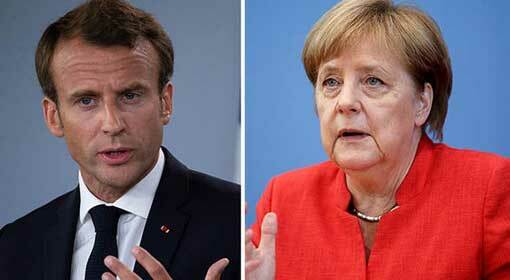 At the same time, following the failure to control the protests over a period of three months, President Macron has indicated considering a referendum. On Saturday, strong protests were carried out in Paris, Valence and other parts of France. Along with the consistent demand for the President’s resignation, the protestors highlighted the issue of the violent action of the French agencies against the protestors this time. Jerome Rodrigues known to be the leader of the Yellow Vest movement, lost an eye in the police action in Paris. In the last three months, more than two thousand protestors were injured in the police actions and the riot control units on the Yellow Vest protestors while some had lost their vision in the action, sources said. The protestors have highlighted the issue of the violence from the security agencies and have submitted a petitioned on the subject in court. The media have claimed that the security agencies were targeting the protestors with orders ‘Shoot’, ‘Shoot’. 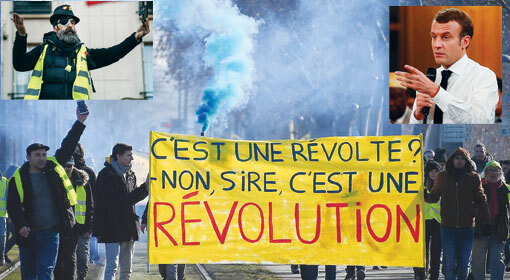 On Saturday, the injured leader Rodrigues led the protest in Paris and severely denounced the police actions. Despite the protestors raising the issue regarding the police action, the police used measures like rubber bullets, tear gas, water cannons and batons to a great extent against the protestors on Saturday. 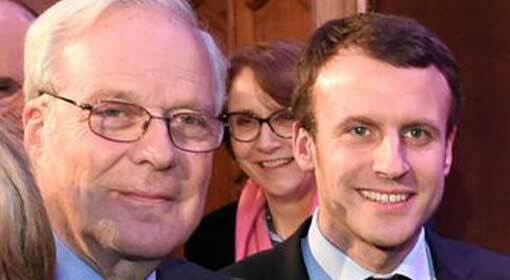 It created a strong feeling of displeasure in the protestors and the discontent against the Macron regime has intensified further. 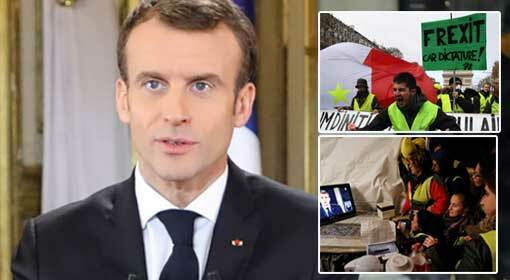 Following the failure to supress the protests through various measures in three months, President Macron has decided to accede to the crucial demands of the protestors. 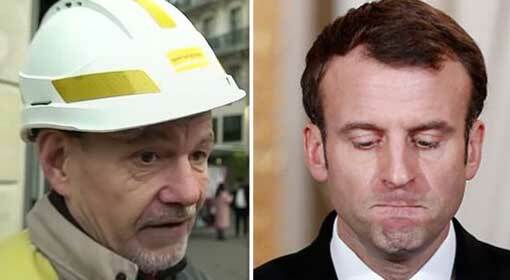 The Yellow Vest agitators had primarily demanded a referendum while deciding the matters pertaining to the significant national policies of France. In acceptance of the demand, a referendum is believed likely to be conducted in the month of May addressing economic, social and constitutional issues. While reports on a referendum are rife, fresh protests, named Red Scarves have started in France to protest the violence against the Yellow Vest protestors. On Saturday, nearly 10,000 citizens had participated in the demonstrations in capital Paris. 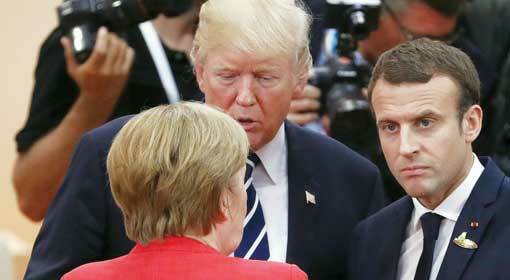 Nevertheless, the protests are believed to be organised by supporters of President Macron. Stuttgart: Earlier, the Yellow Vest agitations ongoing in France for the last three months, were expected to spread to the other European countries. 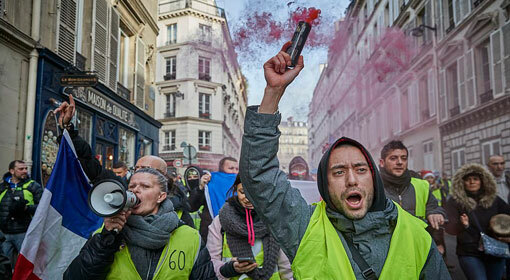 Recently, the yellow vest protests occurred on a smaller scale in countries like the United Kingdom, Spain and Belgium. 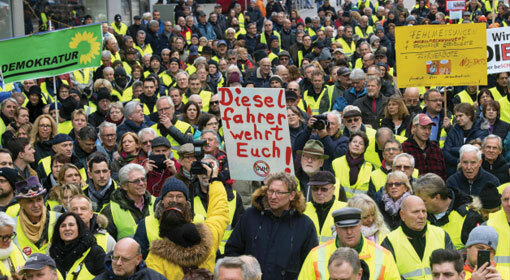 Nevertheless, the yellow vest agitation has started on the streets of Stuttgart in Germany, on the same lines as that of the French agitation against the fuel price hike.